Timberframe homes and structures are as solid as they are beautiful. When you add to that flexibility of design, energy efficiency, and how eco-friendly they are to build, as well as a strength and appeal that will last for generations, it is easy to see why more people are choosing timberframe construction to build the home of their dreams. A home should thrive and inspire its owners for generations. That is why we fell in love with the business of timberframe construction. Whether you are a looking to build your own home, are an architect who designs homes, or a contractor who builds them, you will want Colorado Timberframe on your team. Through our associations with architects, contractors, and vendors, Colorado Timberframe has a portfolio of expertise that will help you with any timberframe project_茴from providing you with a structure to fit your blueprint to creating a complete enclosing shell package that can be shipped to your homesite. We can help you every step of the way, from recognizing the perfect lot to completing the final punch list. Situated on the front range of the Rocky Mountains, Colorado Timberframe has its finger on the pulse of this construction revival. 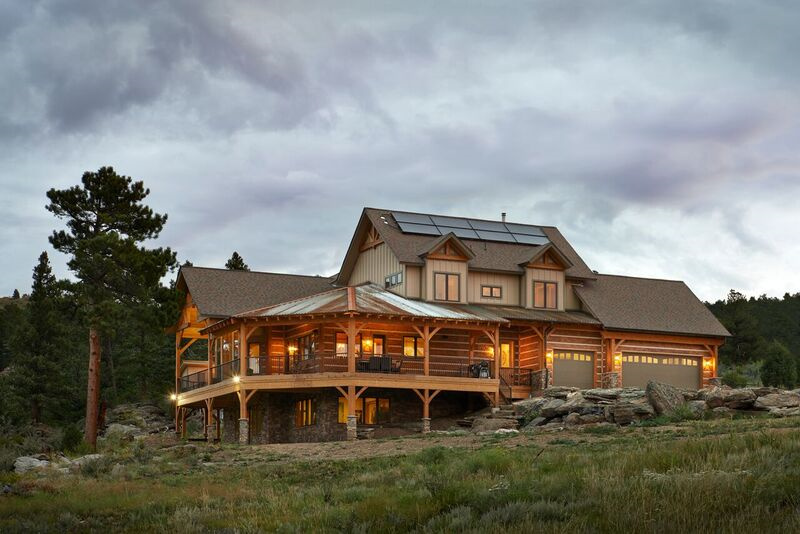 Meshing the newest technologies with time-proven design, craftsmanship, and artistry, Colorado Timberframe homes are turning heads across the nation. We do more than just provide the timber; we help you create a home.